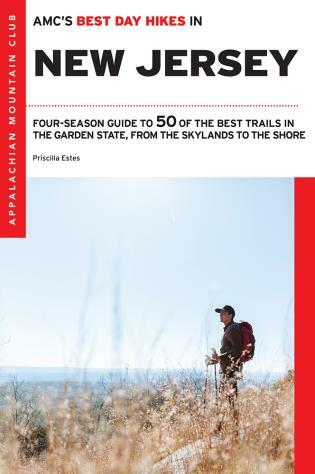 This brand-new title from the Appalachian Mountain Club's trusted Best Day Hikes series is your indispensable guide to the 50 top treks in the Garden State, all doable in a day or less. Whether you're an avid hiker or seek adventure in your own backyard, this must-have resource covers all of New Jersey—the northern Skylands, the northeastern Gateway near New York City, the Jersey and Southern shores, the Greater Atlantic City area, and the Delaware River—revealing remarkable natural beauty in the midst of a densely populated region. Explore the urban-adjacent, 4,269-acre Ramapo State Forest, with its views of the New York City skyline; hike New Jersey's famous Pine Barrens; stroll seaside in Hartshorne Woods Park; and tackle the rugged landscape along the Appalachian Trail, in High Point State Park. You'll find hikes for every skill level. An at-a-glance trip planner highlights the best options near public transportation, as well as those for kids, dogs, and winter snowshoeing and skiing. With GPS coordinates for every trailhead, turn-by-turn directions, and information on time, distance, and difficulty for each hike, as well as enriching essays about the area's natural and social history, this is your quintessential guide to uncovering and exploring the hidden gems of a verdant landscape. Priscilla Estes, the former chair of AMC's Delaware Valley Chapter, has been leading hikes since 1996. After years of editing medical books and writing magazine features and a novel, she now hikes, writes, teaches yoga, and plays the gong.